Scientists used ancient molecules of fat which they believe are 558 million years old to identify Earth’s oldest animal fossil. This discovery gives more insight into the early evolution of animals. A team of scientists from the Australian National University (ANU) worked with other scientists around the globe to uncover Earth’s oldest animal fossil. The creature they call Dickinsonia grew up to 1.4 meters in length and had oval-shaped rib-like parts on its body. 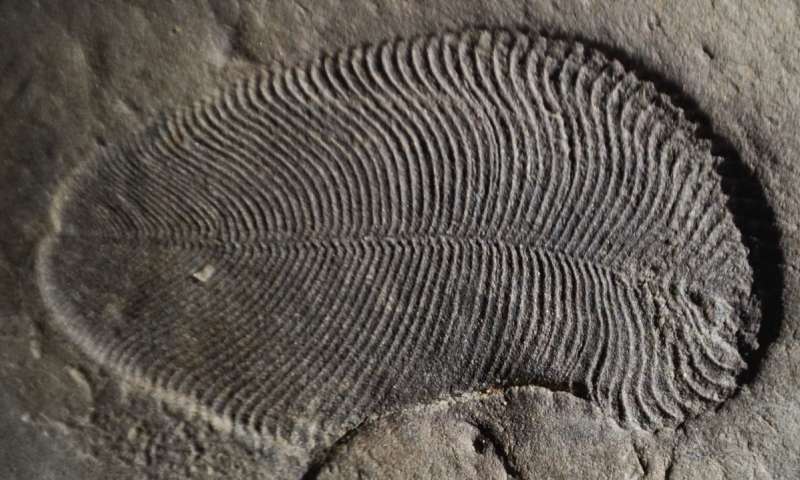 The animal was part of the Ediacara biota fauna, which they say lived on Earth 20 million years ago before the so-called “Cambrian explosion” of modern animal life. ANU scholar Ilya Bobrovskiy, who discovered the Dickinsonia fossil, said it was well-preserved. It was discovered in a remote area near the White Sea northwest of Russia. The fossilized tissue still had molecules of cholesterol, a kind of fat that’s crucial to animal life. They believe the Dickinsonia fossil holds “the key between the old world dominated by bacteria and the world of large animals that emerged 540 million years ago during the ‘Cambrian explosion.’” Bobrovskiy also said the research team approached their study of Earth’s oldest animal fossil using new methods. To learn more about the animal, paleontologists study the structure of its fossil. This time the research team extracted that structure and analyzed molecules found on ancient rocks of Russia outside the fossil. This gave them a better look at the fat cells. To conduct the study published in the journal Science, ANU scientists collaborated with researchers from the Russian Academy of Science, the Max Planck Institute for Biogeochemistry and the University of Bremen in Germany.